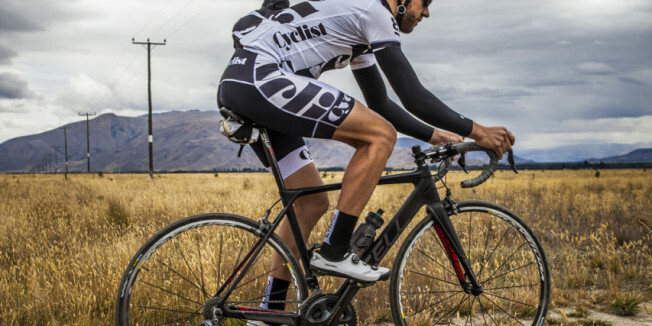 When Sydney-based Cell Bikes unveiled its new performance road bike range at the 2013 Sydney Bike and Lifestyle Show in October, the Australian-owned consumer-direct bicycle manufacturer was sending a loud and clear message that value doesn’t have to compromise performance. So when offered an opportunity to review Cell’s new aero-road bike, the Omeo 2.0, I jumped at the chance, and I knew just the place to test it: the 2014 Santos Tour Down Under in Adelaide. With that in mind, and a desire to stretch the legs after the two-hour flight from Sydney, I quickly assembled the bike and pointed it toward Mount Lofty, a 7km climb located 15km east of Adelaide, nestled in the heart of the Adelaide Hills with an elevation gain of 470m and an average gradient of 6.4 per cent. 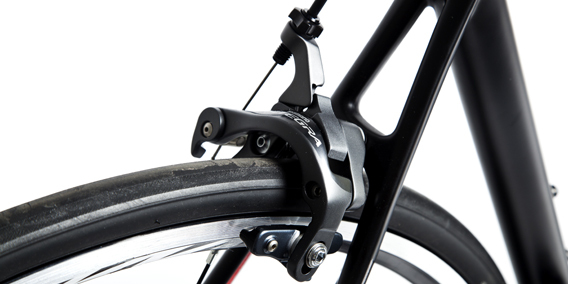 Eye for detail Integrated internal cable routing, suited for both mechanical and electronic wiring, reduces drag while creating a cleaner, sleeker finished look. The first thing I noticed was the smoothness of the ride. In fact, after only 4km I zoned out and it wasn’t until 500m into the ascent that I was reminded I was in fact on a bike.  This could have been a combination of things, such as fatigue from a day’s travel and TDU press junkets, or perhaps the seamless power transfer through the aid of the super-stiff shoes pushing on the ultra-light pedals. Or it could have been that the bike was just that damn good. At first glance the matte black finish leans a little on the generic side, but if you’re a brand snob you may prefer the unidentifiable markings that, from a distance, give it an almost stealth fighter-like appearance. The profile is aggressive; with a short 125mm headtube the Omeo 2.0 may be a bit too aggressive if Tuesday night criteriums are not your thing. 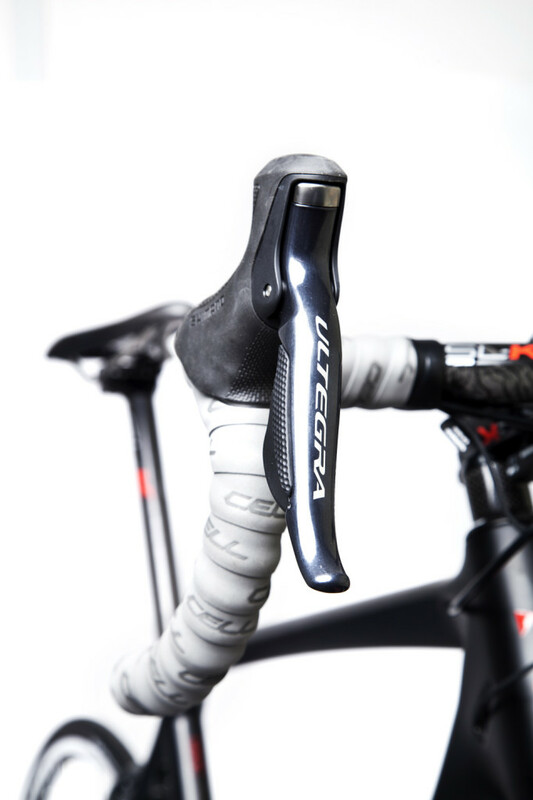 Aerodynamics The aero bladed fork is just one example of the aerodynamic design put into the development of the Omeo to give riders an aerodynamic advantage. Concisely Engineered for Racing Affinity (CERA), the Omeo 2.0 shares the race-ready performance design features of its little brother, the 1.0, but comes fully loaded with Shimano’s electronic Ultegra 11-speed Di2 groupset, and a complete carbon fit-out of The FSA Team Issue carbon components typically found on premium brands twice the price. But just how good is it? 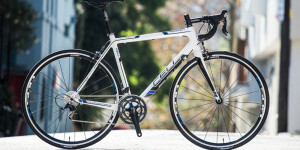 After all, Cell is renowned more for its $199 budget fixies and beginner road bikes than for producing high-octane race weapons. That’s where Musgrave steps in. 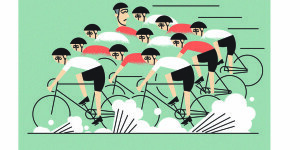 ‘It’s obviously very important to get these bikes right,’ he told Cyclist back in December. 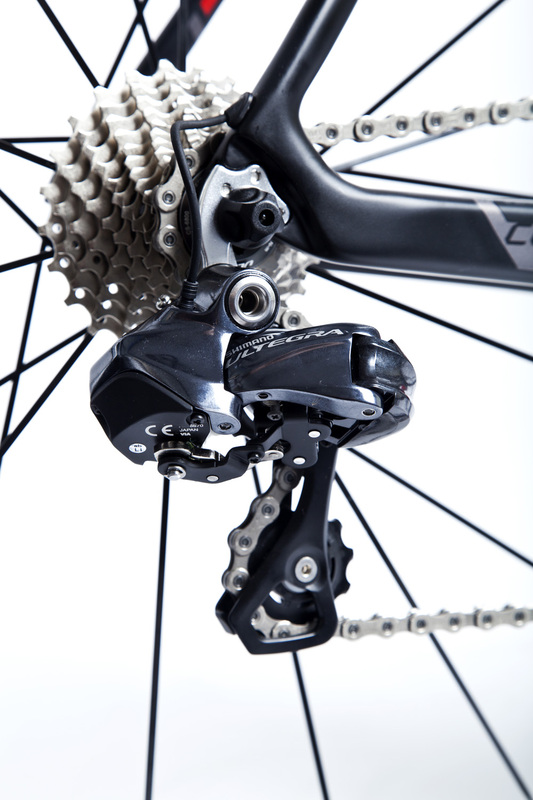 Carbon Fibre Dropouts The Omeo uses impact-resistant layers of 1K carbon weave to ensure strength in the headtube, bottom bracket and dropouts, removing the need for heavy aluminium. While the bike handled brilliantly on the hills, I was keen to open it up on the flats of Grote Street toward the beachside community of Glenelg – located on the shore of Holdfast Bay in Gulf St Vincent – and cruise South Australia’s spectacular coastlines. This route is fast and allowed me to get a feel for what the bike could really do with its lightweight and aerodynamic design. With a claimed weight of 7.5kg (down 300g from the Omeo 1.0), our test bike weighed in a slightly heavier – but still scant – 7.71kg. 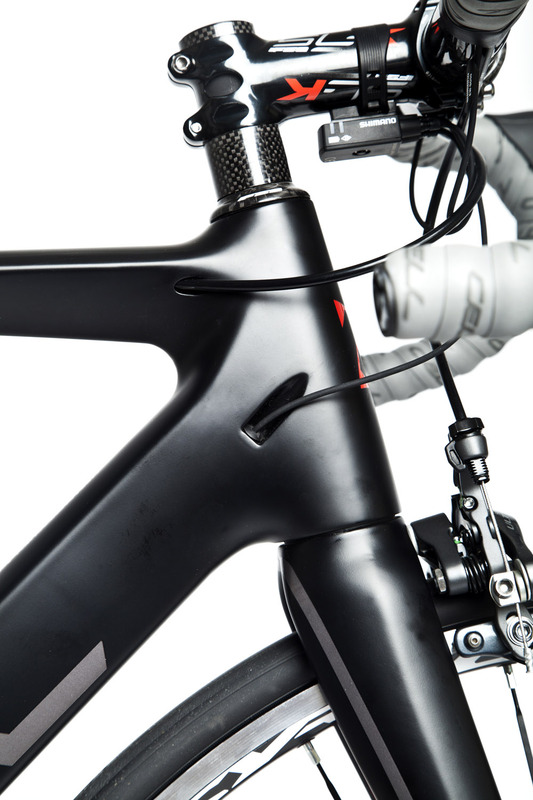 Cell asserts its ability to keep weight down while still maintaining lateral stiffness and aerodynamic performance comes from an increased use of T800 unidirectional fibres, and unlike many carbon frames that require aluminium inserts to strengthen dropouts, headtubes and bottom bracket shells, the Omeo uses impact-resistant layers of 1K carbon weave to ensure strength in these areas, removing the need for the heavier aluminium. Taking cues from the Orica-GreenEDGE team bike, the Scott Foil, the Omeo removes the trailing edge most commonly associated with aero frames and instead features a truncated airfoil shape for the downtube and seat stays to reduce weight and increase tube stiffness. 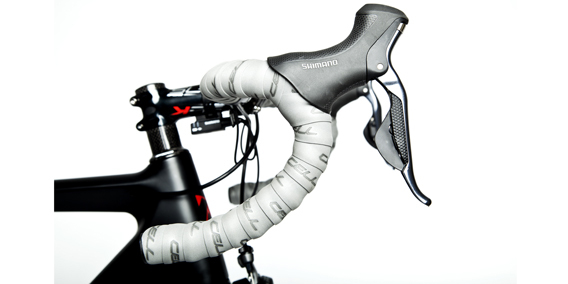 Like the Foil, integrating the seatpost clamp inside the top tube further reduces drag. 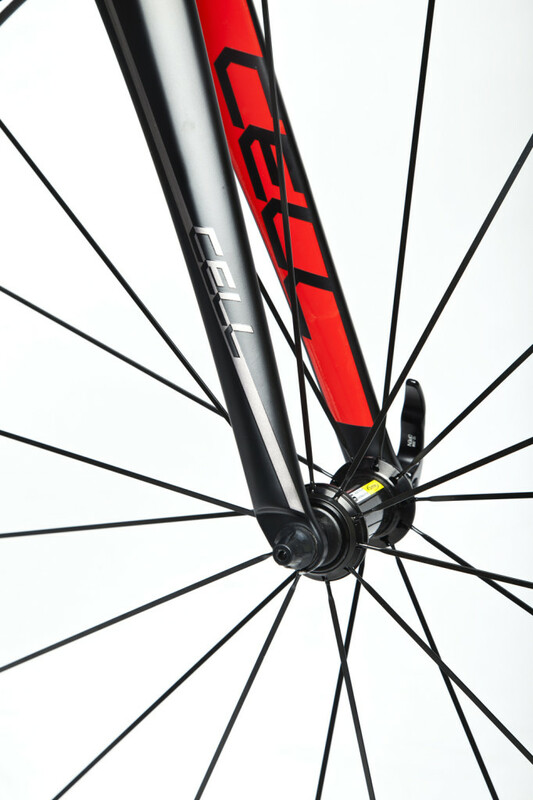 A bladed aero fork and internal cable routing with recessed guides give the bike a finished, slippery profile that screams ‘speed’ even while sitting still. 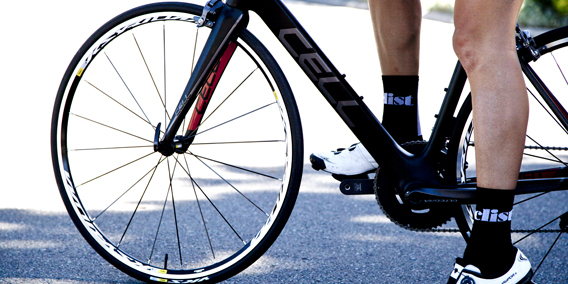 The bike is stiff yet compliant with easy tracking through the corners. 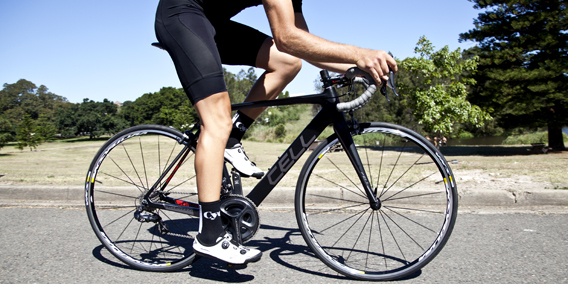 It held its line even in South Australian crosswinds and made for an easy ride. While the frame tapers into an oversized BB86 bottom bracket to maximum lateral stiffness for enhanced rigidity and power transfer, I noticed a bit of torsional flexibility across the top tube down toward the seat stays, but only when forcing the issue. Under normal riding conditions (or even racing) it would be of little concern unless your last name happened to be Greipel, Kittel or Cavendish. Other than an odd creaking sound from the frame when hitting a rough patch of tarmac, I was pleasantly surprised with the Cell Omeo 2.0. While I’d have liked to test it with an upgraded wheelset, the stock-standard Ksyrium Equipe S wheels were both accommodating and smooth. 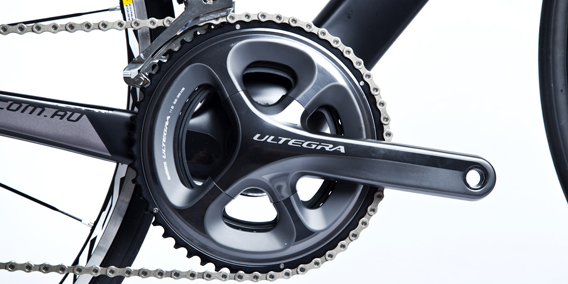 Overall, I was pleased with the performance and specs, and at just $2,799 ($1,999 for the similarly equipped Omeo 1.0 with mechanical Ultegra 11-speed) it would get some serious consideration if it were my money at play. Cell does not skimp on the fit out, as the Omeo 2.0 features Shimano’s all new electronic Ultegra 11-speed Di2 prominently attached to FSA’s all-carbon cockpit which is cleanly mounted to a headtube with a 1 1/8” upper bearing and 1.5” lower bearing, which increases stiffness where needed to ensure a steady ride and accurate steering.